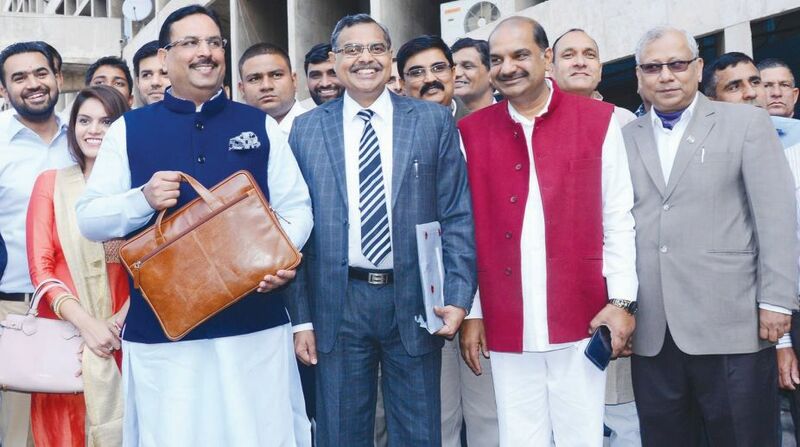 Haryana finance minister Abhimanyu on Friday presented Rs 1.15 Lakh crore Budget for the year 2018-19 proposing major outlay for education, power, health, farm sector, rural development and social empowerment. Presenting his fourth consecutive Budget, Abhimanyu kept its size this year at Rs 1,15,198 Crore with an increase of 12.6 per cent over budget estimates of Rs 1,02,329.35 Crore during last fiscal in 2017-18 and 14.4 per cent over revised estimates of Rs 1,00,739.38 Crore of 2017-18. Notably, no new tax has been proposed in the new Budget, rather reduction in rate of Value Added Tax (VAT) has been proposed on sale of natural gas from 12.5 per cent to Six per cent in order to provide relief to the industries using natural gas. Out of the budget proposed this year, Rs 14,428.35 Crore have been allocated for Education, Sports, Art and Culture, Rs 13,358.16 Crore for Power and Non Conventional Energy, Rs 8198.03 Crore for Social Justice and Empowerment, Women and Child Development (WCD), Welfare of Schedule Castes (SCs) and Backward Classes (BCs), Rs 4791.14 Crore for Home, Rs 4769.61 Crore for Health, Medical Education & Family Welfare, Ayush, Employee’ State Insurance (ESI) and Food & Supply, Rs 4097.46 Crore for Agriculture & Allied Services, Rs 4201.88 Crore for Rural Development and Panchayats. The Budget outlay comprises 26.1 per cent as Capital Expenditure of Rs 30,012 Crore, and 73.9 per cent as Revenue Expenditure of Rs 85,187 Crore. Among tax revenue, Abhimanyu proposed mobilisation from Goods and Service Tax (GST), VAT, Excise Duty and Stamp and Registration at Rs 23,760 Crore, Rs 11,444 Crore, Rs 6,000 Crore and Rs 4,500 Crore respectively in next fiscal. Rs 14037.39 Crore have been proposed in the Budget for Interest Payments and Rs 8301.22 for Pensions. Abhimanyu said the budget was aimed to “usher in a new era of balanced growth”. “I tried to take every stakeholder on board in consonance with the theme of ‘Haryana Ek Haryanvi Ek’. The present government is seeking to turn Haryana as model state in terms of fiscal management. I do not intend to propose any increase in the present rates of taxes,” he said. Presenting his Budget proposals to the state Assembly, Abhimanyu said that the state government came out with a path-breaking “Enterprises Promotion Policy-2015”, (EPP) aligned with the ‘Make in India’, ‘Digital India’ and ‘Skilling India’ campaigns to propel the state to the next level of growth trajectory. In 2016, Haryana stood 14th in the “Ease of Doing Business” rankings of states in the country while during the present rule, it stood at number one rank, he added. 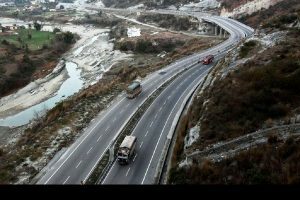 The Finance Minister said the state government recently approved the “Haryana Textile Policy 2018” based on five key pillars namely, initiatives for infrastructure augmentation, fiscal incentives, support for skill training or entrepreneurship, interventions for Khadi industry and facilitating new textile parks and clusters across state. Besides, Haryana Agri-Business and Food Processing Policy 2018 is on the anvil. The policy aimed to attract investment of Rs 3,500 Crore and generate 20,000 new job opportunities in the sector. Among the new initiatives, the state government launched limited Cashless Medical Services Scheme for government employees and pensioners on 30 November 30, 2017. An Asset Management Cell has been created to identify government land or properties both within and outside the state. Besides, the state government had approved setting up of a new non-banking financial company Haryana State Financial Services Limited to act as an in-house treasury manager for efficient management of surplus funds of public enterprises, autonomous bodies of Haryana and other state entities. The company is expected to become operational in the first quarter of 2018-19, he added.